Going to Dubai? Here are a few things to keep in mind. When is the right and wrong times for traveling to Dubai (and other UAE , GCC states)? The best months are the winter months, mainly November to March, which are the coolest months. Summer months (June to end of September) are hottest and the temperature in Dubai can get very hot during summer, so we would not recommend traveling for job search in these months since you will need to be out during daytime, which can become unbearable. If you are going in summer, or any time of the year, ensure to get accommodation close to where you are looking for work, or at least close to a metro (train) station or bus station, to reduce the chances of having to walk. Taxis can be expensive and if you are on a limited budget, then you probably want to reduce spending unnecessarily. 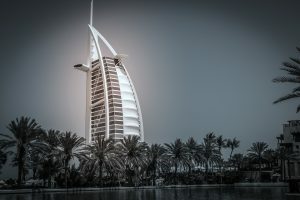 Ramadan month - the Muslim holy month of fasting during which Muslims don’t eat or drink anything from dawn to sunset: job hunting in Dubai is not recommended during Ramadan because many UAE companies management doesn’t work as much during Ramadan and hiring activities are delayed until after Ramadan. Furthermore, eating and drinking in public is not allowed, meaning you won’t be able to eat during the day during Ramadan in public even if you aren’t fasting. Restaurants and cafes are also not allowed to serve food during fasting hours. This year Ramadan is from May 6, 2019 to June 3, 2019, approximately (actual dates will be decided by moon sighting). If you are looking for teaching jobs in schools, the right time to leave your CV is prior to the summer vacation (before end of May) when hiring decisions are made. For colleges and universities, you might have the option to apply at different times during the year, depending on the college schedule and staffing needs for different semesters. Many schools / educational institutions have online career portals on the school website where you can get information about vacancies and how to apply, as well as school contact details. Ensure to have your documents and CVs ready and in correct format before departing to UAE. College degrees and high school diplomas need to be notarized by your country’ Foreign ministry (State Department in USA) as well as the UAE embassy in your country in order for you to get a work visa, so ensure to get that done beforehand. If your certificates are in a different language other than English or Arabic, you might have to get them translated. In that case, a sworn (notarized) translation might be required. By being prepared in advance and organizing your trip, you can be more successful and have less setbacks. If you have any specific questions about traveling to and job hunting in any country, send them in by replying to this email. The above is for informational purpose only and not intended to be professional /legal advice. Check with your local and current UAE laws for requirements for your country.